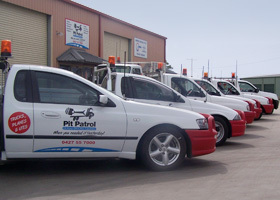 Pit Patrol was formed in 1993 as a single vehicle courier. Today we are one of the largest, genuine 24 hour on-call freight services available – specialising in the requirements of mining and industry with utes, trucks and airplanes. 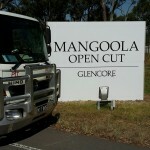 Our fleet has over 20 vehicles covering Sydney, Newcastle and Singleton. We also have vehicles in Melbourne, Parkes, Tamworth, Brisbane and Mackay ready to collect your urgent parts. PIT Express offers a genuine 24 hour – 365 day – point to point express service. Kaputar Couriers provides two separate general freight runs from Newcastle travelling through Singleton to Gunnedah and Narrabri servicing both mining and retail industries. 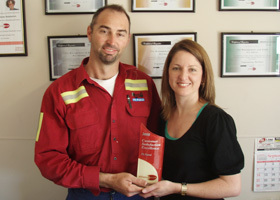 PIT Supplies offers consumable items such as tea, coffee, cups and drinks to Hunter Valley mine and industrial sites. The orders are packed locally and delivered free to site. Pit Patrol can also offer diesel refuelling up to 2,800 litres a time, direct to your machinery. 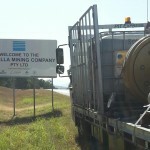 Pit Glass offers supply and installation of all windscreen and glass requirements for mining and earthmoving equipment.